SDM is a Speed and Durability Maximized carbon wheelset, which is designed and hand-built for you offering world-class performance at one-third cost. The carbon SDM rim lies at the heart of the ride: it’s wide, aerodynamic, light, stiff and tubeless ready, it also has a high-performance ceramic braking surface with a heat resistance of 255 Degrees C (TG). The overall quality and integrity of our product means we offer a fully inclusive 2-year warranty, including on the braking surface. 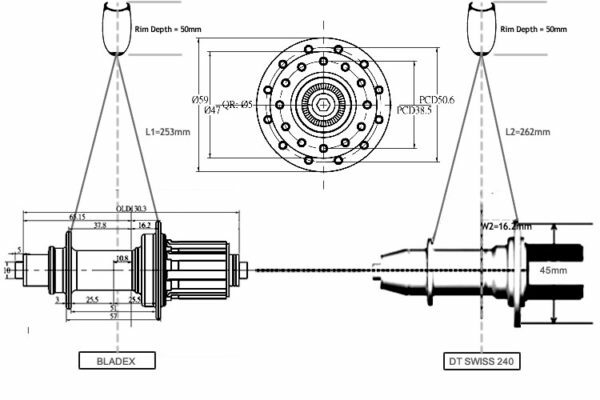 The use of top class spokes, renowned OEM hubs and the fitting of ceramic bearings as standard underline our commitment to offer a product that is fast, durable and reliable. An SDM wheelset is for those want the top performance of a well-made, fast, stable and light wheelset, designed and manufactured to last – at the best value possible in today’s market. WHY SDM COSTS ONLY 1/3? SDM offers a world-class product at a more affordable price point. This is achievable because we sell straight to you, avoiding advertising, middlemen and retail sales margins. 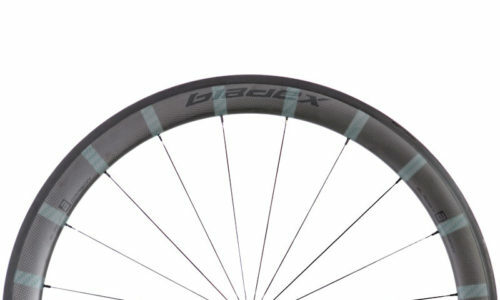 BladeX produces consistent, high-quality wheelsets by combining highly skilled and motivated staff, quality processes and the latest carbon technology. There are no corners cut in our hand-made manufacturing process or our choice of materials. From the aspect of geometry, a wheel with our SDM hub is 20% stiffer than a wheel with a DT Swiss 240 hub. Click for more details. We usually build our rear wheels with 20 to 30kgf higher spoke tension than others. 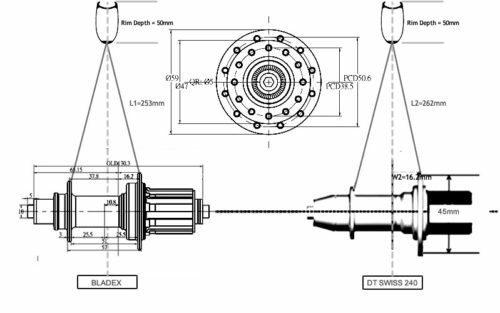 Click for more SDM rim tech details. We apply two extra layers of carbon to the spoke hole wall, which increases the durability of the brake track by 20%. 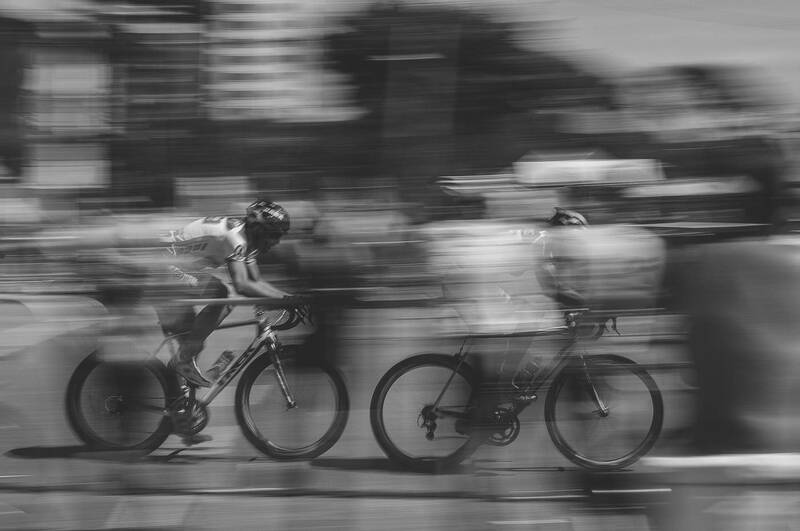 Our Clincher rims also include two extra layers of carbon on each of the braking walls, ensuring that they’re capable of handling up to 20% more strain than the usual brakes. HOW IS THE AERO PERFORMANCE? The SDM rim has the most advanced U shape profile, the wider U shape has been proven to have more stability in windy condition. Smooth is Fast. So we integrate 2 front and 4 rear Ceramic Bearings into SDM Hubs. 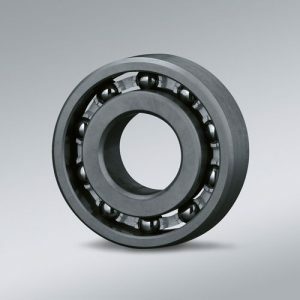 Ceramic Bearings are much smoother than steel ones, Why? It’s simply because they are closer to perfect round and stiffer. We try our best to keep the price under $1000USD, including world-wide Free Shipping. Click here to learn more about Free Shipping. HOW DO WE PREVENT QUALITY ISSUES? We try our best to solve the problem before it happens, so we apply quality check for each procedure during the production, from Carbon Laying, Molding, Drilling, Building to Packing. WHAT TO DO WITH THE QUALITY ISSUE? By applying strict quality control measures, we have been keeping the quality issue rate under 0.3%, and all the quality issue will be taken care of. 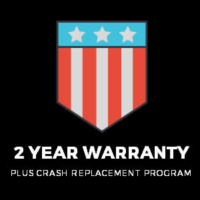 Click here to learn more about our Warranty. We are now cooperating with the largest shipping company, China Post, they have global network that can deliver our products to almost any locations in the world. Their Express Mail Service will transport the package directly to your address, and a tracking number will be provided so that you can get the real time location of your package. The Express Mail Service usually takes 4-7 days to various countries, but delay may happen occasionally if there are uncontrollable matters. After we receive your order, if the rims are in stock, we immediately start to apply decals and hand-build them, the wheels will stay for 1-2 days for stress releasing, then we will check again to ensure the wheels are trued. So usually it takes us up to 5 days to ship your order out after your order. In order to protect the products from the impact during the long distance shipping, we designed a special box for our bike wheels, it has strong inside structure to hold the wheels tight, and keep a buffer zone between wheels and outer box. 1. It creates a buffer room for wheels, so they don’t contact each other directly. 2. It makes the box smaller, which save a little for our environment. Besides the specially designed packing, for every order shipped by us, we purchase insurance, because we just want to make the whole purchasing system 100% save for our customers. In case there is destruction to the package or loss, in the course of shipment, you will get recompense. If there is partial destruction to the items, we will submit cash for fixing. 2015 records indicate that incidents of destruction and loss are none; this is because we pack the products extremely efficiently, with package, which is particularly designed. We have learned a lot from Five Years’ experience in precisely manufactured carbon wheels, now we are able to control the product failure at a very low rate, that’s why we are confident to offer a longer warranty period than others. BladeX warrants the Carbon Wheels purchased from us to be free from manufacturing defects for a period of Two Years from the date you ordered. Click to learn more about our warranty policy.